Let me tell you how I discovered Red Cherry Tomatoes. 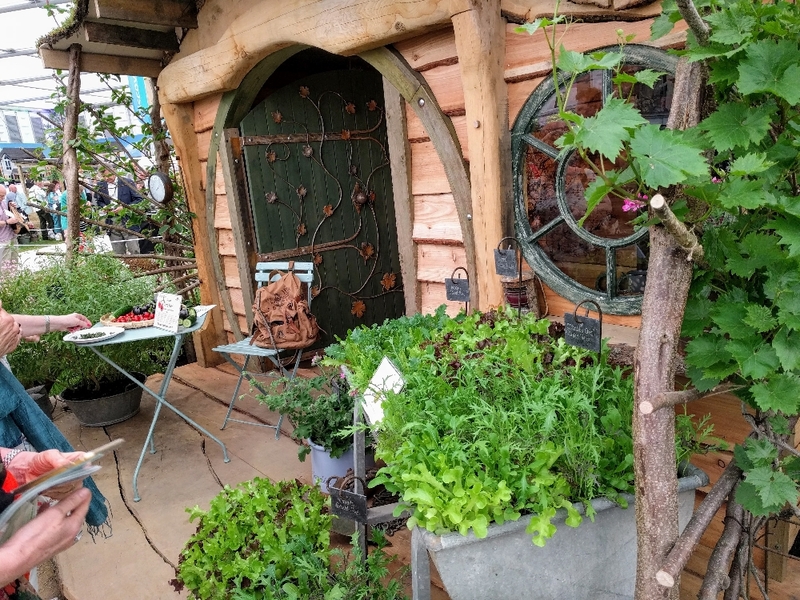 Last year, when I was at the RHS Chelsea Flower Show I came across the Hobbit garden in the main tent and I was able to sample some Red Cherry tomatoes in the little front courtyard at the front of the garden – and I have to admit, the flavour really took me by surprise. It was probably the sweetest tomato I’d ever tasted. And I know what you’re thinking, it’s Chelsea, it’s bound to be particularly excellent…But it really was! 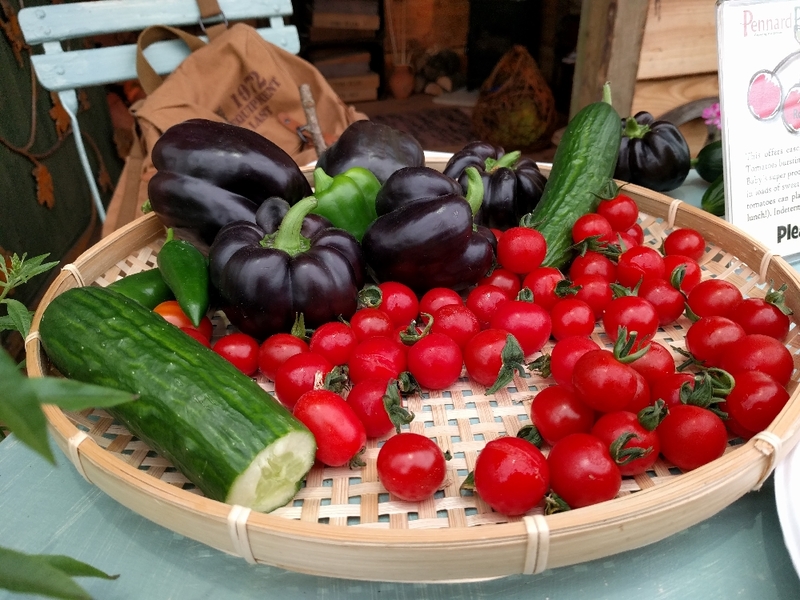 I remember the the foliage being a real deep green and the tomatoes were such a deep lipstick red – they were a real stereotypical red tomato colour, which was absolutely fantastic! 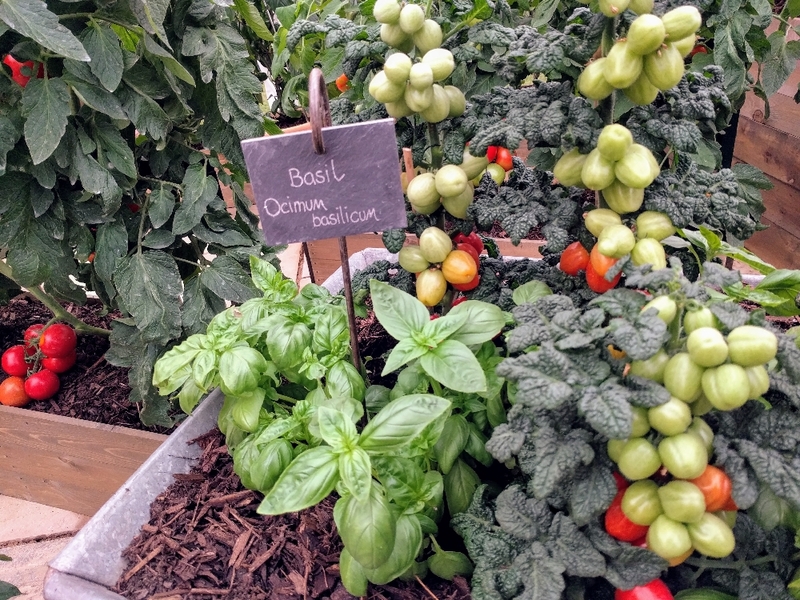 I also noticed that they planted basil with their tomatoes, which not only looked great but apparently kept pests at bay. I think this added a real Italian edge as well, we all know that tomato and basil goes hand in glove. So I’ll definitely be doing this at my allotment. All I know about Red Cherry Tomatoes is that the manufacturer is Mr. Fothergills and that you sow them like every other tomato seed. They’re also an indeterminate tomato variety, which means that when they grow they’re going to need support from a bamboo stick and some string. I’ll also need to pinch out the side shoots in order to stimulate growth and encourage the plant’s energy into going into producing lovely delicious tomatoes! I’d love to know if any one else managed to sample this wonderful variety at last year’s RHS Chelsea Flower show, plus anyone else who’s ever grown this particular variety – are they as sweet and tasty as I remember? Honestly it sounds like I’m exaggerating, but they were truly delicious! Where’s tour boat at out if curiosity?